Sometimes we just need to escape from the daily grind, disconnect and recharge our batteries, one of the best ways to do this is to escape for a few days. Discover the best places in Spain for a short break and choose from cities full of tradition, culture and colour as well as idyllic countryside locations exuding natural beauty and tranquillity. We have scoured the country to find the top 9 destinations each offering something special for a weekend in Spain. Corners of the country home to ancient ruins, stunning landscapes and iconic monuments. Burgos is a captivating city for three reasons; its medieval architecture, natural landscape and for its production of fine wine from the Ribera del Duero region. Escape to the Spanish countryside and rent a holiday home in Castilla y León. 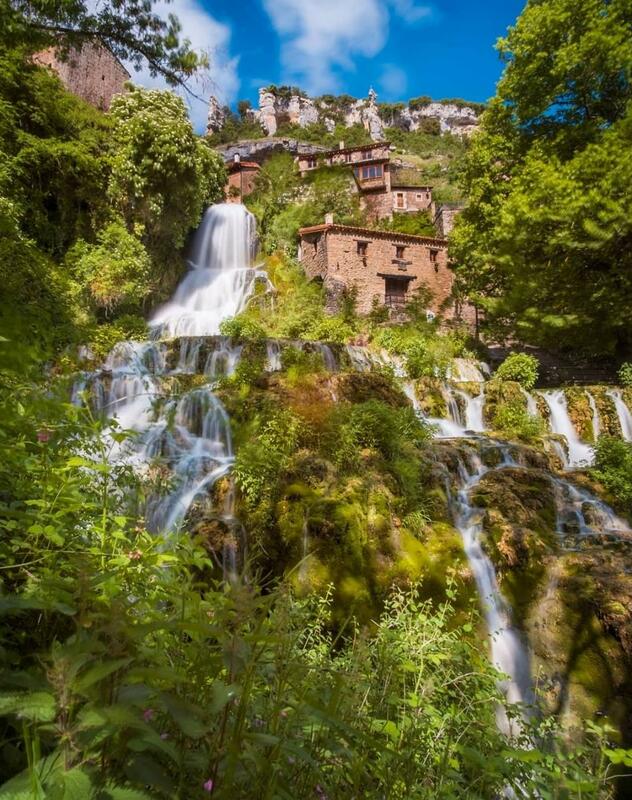 Hike around the largest waterfall in Spain - Salto del Nervión, located outside the city of Miranda del Ebro. At 222 metres high find it in the protected area of Monte de Santiago. Visit Orbaneja del Castillo - a picturesque village that has been declared a Historic-Artistic Site. It is one of the most photographed locations in Castilla y León due to the water that cascades through the village and cobbled streets. Wander around the beautifully preserved architecture depicting the personality of life in northern Spain. The city of is León in an important part of the rich historical and cultural heritage in the region of Castile and Leon. Historically the city was the capital of León and became one of the most fundamental kingdoms in the peninsula. Wander the streets with a mix of Moorish, Medieval and Gothic architecture - one of the most famous sites being the majestic cathedral. Taste some of the famous tapas from northern Spain in the Humid Neighborhood or in the Romantic Quarter. Both neighbourhoods are popularly known for free tapas when you order a drink. A significant part of the Picos de Europa can be found in this region, offering fantastic opportunities for hiking, climbing and mountaineering on the doorstep of your holiday home in León. Miles of lush green valleys and mountainous peaks this is, without doubt, one of Spain's most beautiful landscapes. 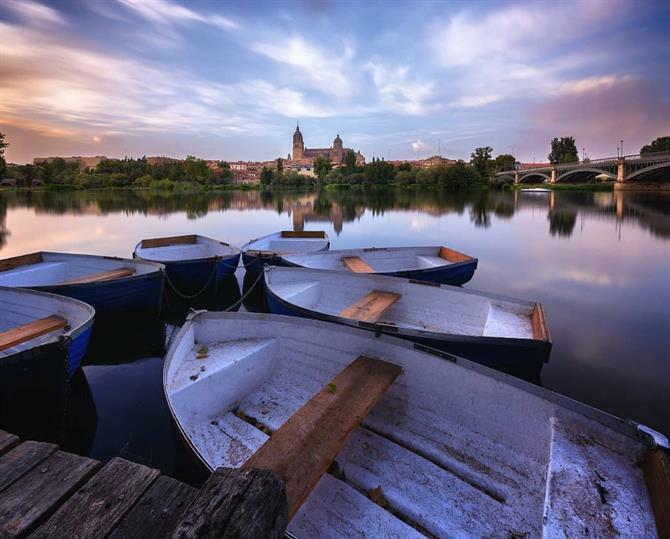 Salamanca is an ideal location for those seeking a rural holiday. The famous pilgrim of "Vía de la Plata" passes through here where thousands of people walk the "Camino de Santiago." Discover beautiful views and hike around the Duero Natural Park or the lush valleys of Batuecas - just two places with a stunning nature offering. Visit Miranda del Castañar - set on a mountainside, the town is guarded by a wall with four gates and characterised by masonry and wood houses. This town is the picture of the regions medieval past and typical of how life was in the Sierra. Ronda is one of the best places for a short break to Spain. Set in the mountains of Málaga the town is surrounded by natural beauty. 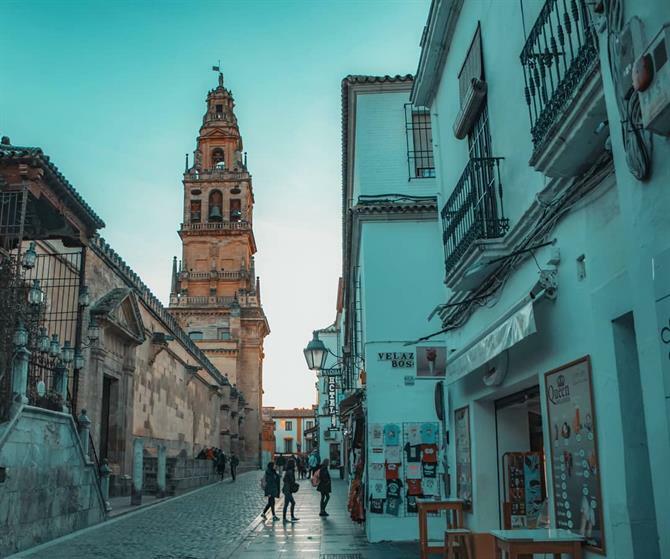 In winter a blanket of snow covers the neighbouring villages and Sierra de las Nieves; during the summer the town is bustling with people exploring Ronda's historical sites. 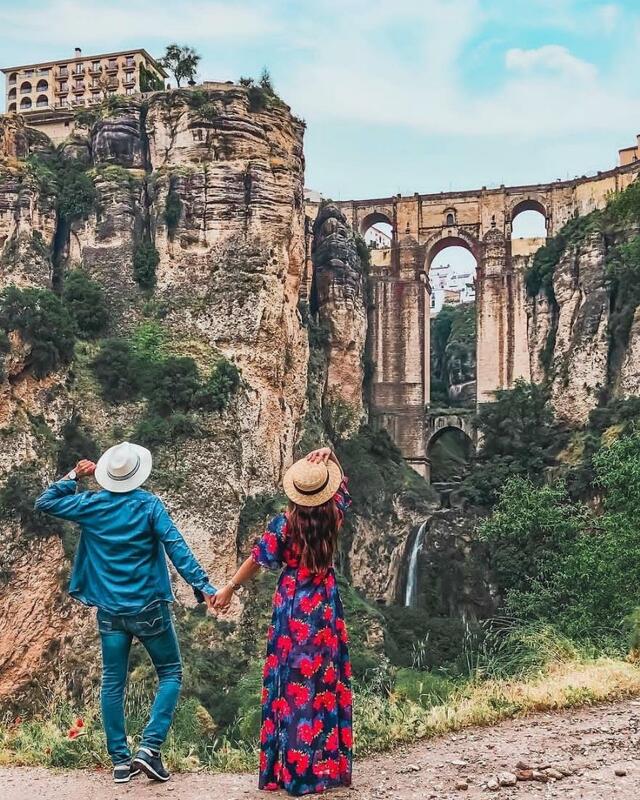 The imposing Puente Nuevo is one of the most photographed places in Spain, walk down the deep gorge that lays beneath it and capture the iconic image of Ronda. Enjoy some traditional Andalucian cuisine and discover the Moorish heritage of the town. 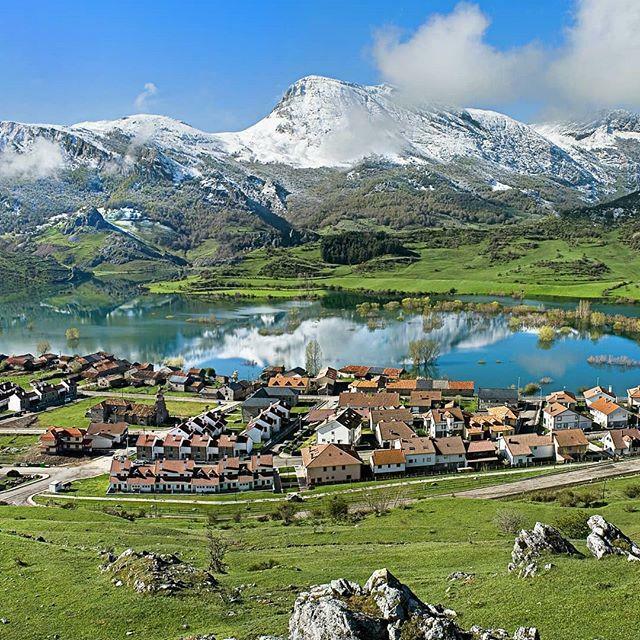 Cantabria is located in the north of Spain, near the Picos de Europa. 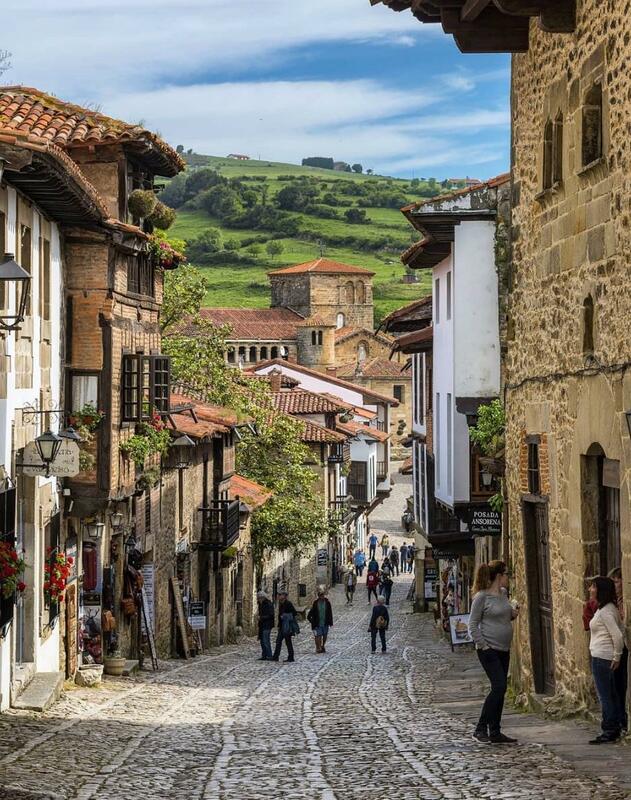 Explore the valleys, meadows and immerse yourself in the culture of small-town life by visiting Santillana del Mar. Wander around the medieval towers, Renaissance palaces and discover prehistoric paintings that were found in the Caves of Altamira. Another one of the most popular places to rent a rural holiday home in Spain is Potes. Take a ride on the cable car at Fuente Dé, which takes you into the heart of the Picos de Europa at an elevation of 1823 metres in just 4 minutes. Not only does this region have acres of lush green fields, stunning lakes and impressive snow-capped mountains, but Cantabria is home to beautiful unspoilt, rugged beaches. Miles of golden sand surrounded by unparalleled beauty. 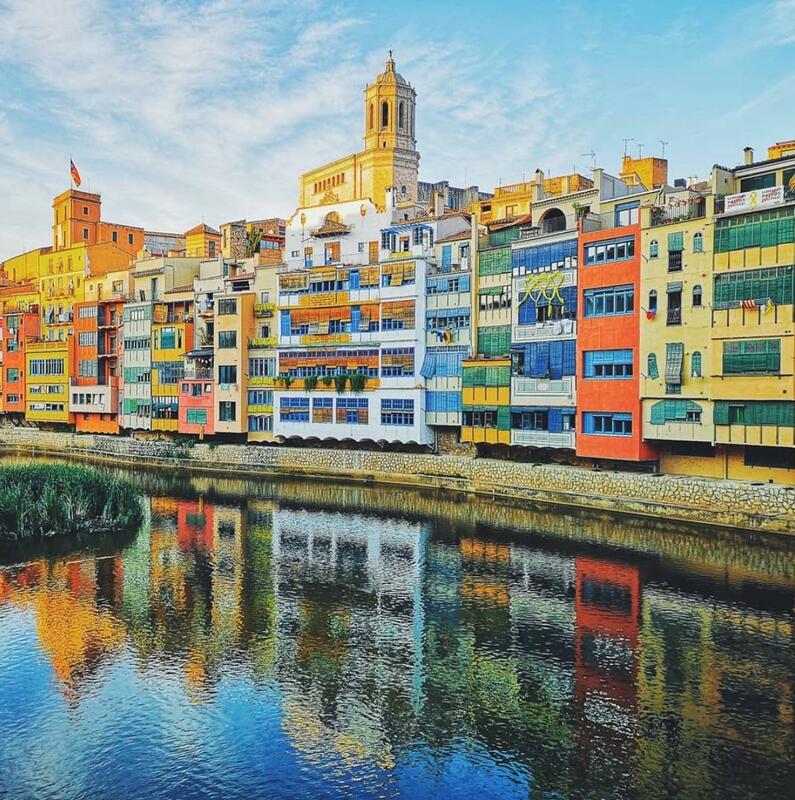 Girona is a beautiful destination for a city break to Spain. This city is full of history and tradition, which is why it often features in films and television series such as Game of Thrones. Stroll around Bisbe street Josep Cartaña, Passeig Arqueològic or the Monastery of Sant Pere de Galligat and admire the architecture dating back to the Roman and Jewish occupation of the city. On the other side of Girona admire colourful houses that line the bank of the River Onyar. If you want to explore the wilder side of Córdoba, take an excursion to the Sierra de Hornachuelos; a protected natural park along the waters of the Guadalquivir River. Find hiking trails, rich vegetation and rugged mountains. Stay in Cordoba for a city break in Spain full of culture. Stroll around the emblematic neighbourhood of the Judería, with traditional craft shops and souvenirs. No one visits this city without visiting the iconic Mezquita cathedral, a stunning example of Moorish architecture. Shop on Gondomar street and stop to sample some Cordoban cuisine such as salmorejo and flamenquín. 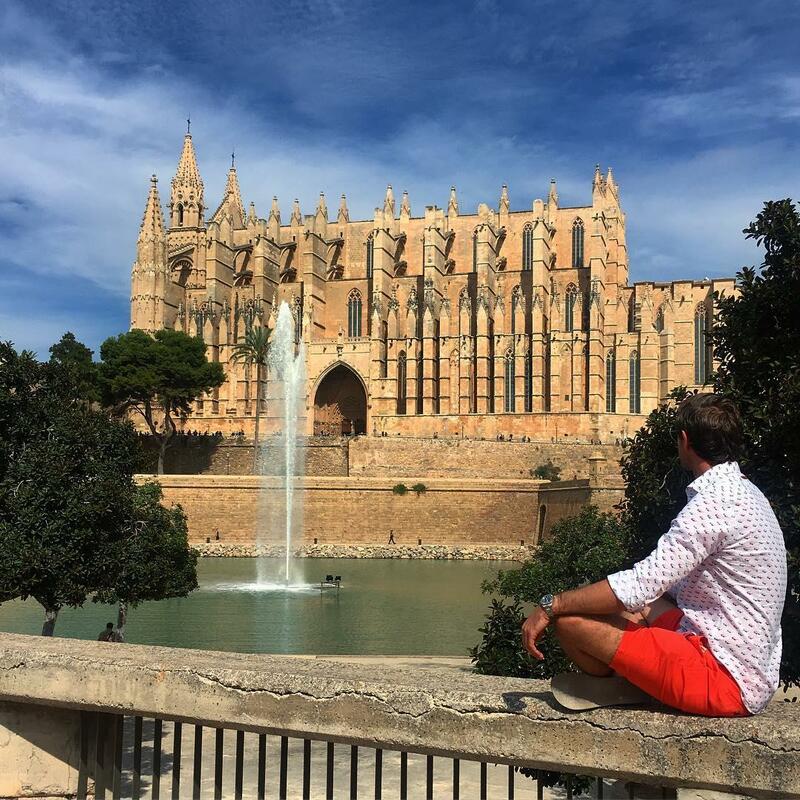 Palma de Mallorca is a fantastic destination for a short break in Spain and one of the best places to stay in Mallorca - combining beautiful beaches with a diverse offering of art and culture. One of the most iconic monuments of the city is the majestic cathedral, a masterpiece of Gothic architecture. After visiting the cathedral walk to Barrio de Santa Catalina, just ten minutes away. This up and coming neighbourhood is known as the Soho of Palma de Mallorca. A fantastic cultural mix of art, people, fashionable bars and restaurants. The most vibrant side of the city is Santa Catalina with its bohemian atmosphere, laid back bars and restaurants. Finally, do not miss strolling around the old town of Palma de Mallorca, full of charming streets, shop and restaurants. You will not be short of things to do staying in Madrid. From concerts, musicals and art to museums and shopping in the famous streets such as Gran Via, Calle Fuencarral and Calle Serrano. 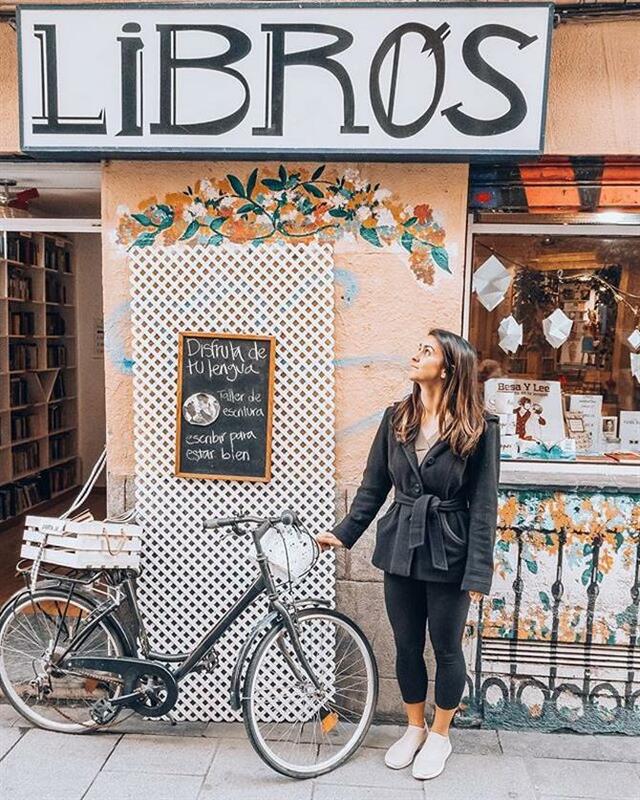 By metro, you can quickly move around the neighbourhoods in Madrid and savour the best tapas in the bars and restaurants of La Latina, Lavapies or Chueca. If what you are looking for one of Madrid's coolest neighbourhoods, head to Malasaña - a fantastic combination of urban art, a variety of bars and different styles of music - this is the alternative fashionable barrio of Madrid.